Star Trek: Discovery (2017-) CBS Television Studios. Created by Bryan Fuller and Alex Kurtzman. 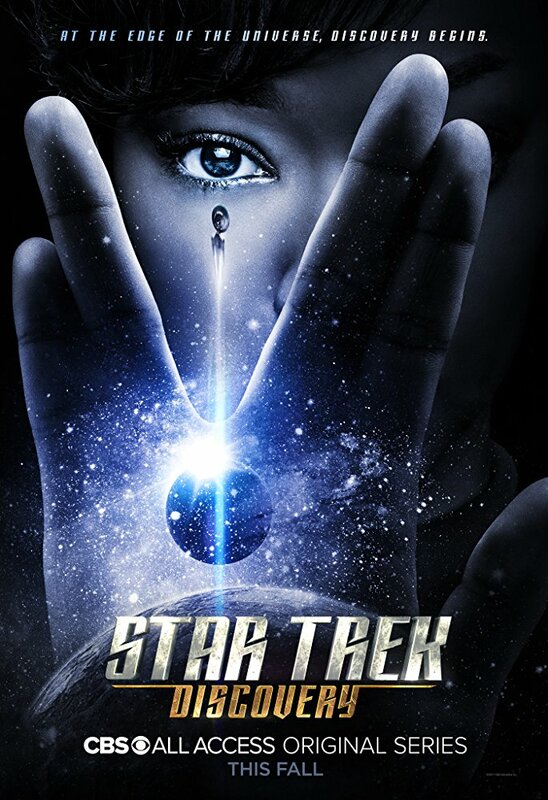 As many of you are probably aware, I’m very much a movie person rather than television but in recent weeks I’ve become completely hooked on Star Trek: Discovery. I’ve always loved science fiction and I’m old enough to remember the original when it first aired. Up until now, I’ve always thought of the Star Trek universe as reasonably vanilla but Discovery is a completely different beast. Characters are quite real, conflicted, have agendas outside of Starfleet, suffer very human maladies, like PTSD, and (despite all the standard space opera shenanigans) it has splashes of wry humour. The cast are all excellent but Sonequa Martin-Green, Anthony Rapp and Jason Isaacs are absolute standouts and the scripts have been very solid. I’ve just watched the first half of season one, apparently it will be resuming in January and it has been signed up for a second season. I can’t wait!